We live in an ultra-connected world – and, in many ways, that’s both an understatement and an overstatement as well. On the one hand, online communications have completely changed the way we live our lives. We wake up in the morning and open our Facebook apps, where cute kittens purr and former high school classmates show us what they had for breakfast. We open our email apps and connect to our work communications, regardless of where in the world our partners, clients, and work colleagues may be. We shop online, and we have our products shipped out from China. On the other hand, none of the digital channels will ever be able to replace something fundamentally human: real-life interaction. That is precisely why roadshow marketing still works and why it will continue to work a long time from now. And that is precisely why it is still very important to know how to pull off things like custom booth design and overall event marketing elements. What are the absolute roadshow booth design tips all event marketers should know? We’ve put together a comprehensive guide to help you plan amazing, successful event booths. From the types of exhibition booth design to the planning itself, we’ve covered it all in the article below – so read on to find out more. What’s a Roadshow Event and What Is It All About? We could write an entire book on what is a roadshow event and why it’s still extremely important to include them in your marketing strategy. Put shortly, though, a roadshow event is an event that’s usually targeted at a very specific audience, in a restricted geographical area. Traditionally, roadshow events are small and ultra-specific – but these days, large exhibitions and trade show booth ideas are so heavily influenced by the small roadshow mindset that they are all included under the same “roadshow” umbrella term. The long story is, well, much longer. Under the influence of digital media, roadshows have changed a lot in the past decade or so. While these events used to be considered pretty much just branded booths with presentation flyers, they are nowadays getting more and more creative. That’s both good and bad news for you as an event marketer. On the one hand, you get the chance to be really fun with your booth design ideas. On the other hand, your competition’s getting the same opportunity – so you will have to be way over the top if you want your brand to be noticeable in a sea of other brands selling more or less the same product and/or service as you do. Excellent exhibition booth ideas will offer you a seat in the front row – so that you can actually show your potential and existing customers what your brand is all about, remind them of the benefits you provide, and, in the end, earn your customers’ loyalty. Yes, a customized booth design does matter in all of this. In fact, it’s a crucial element you simply cannot and should not omit. What Are the Main Types of Event Booths? 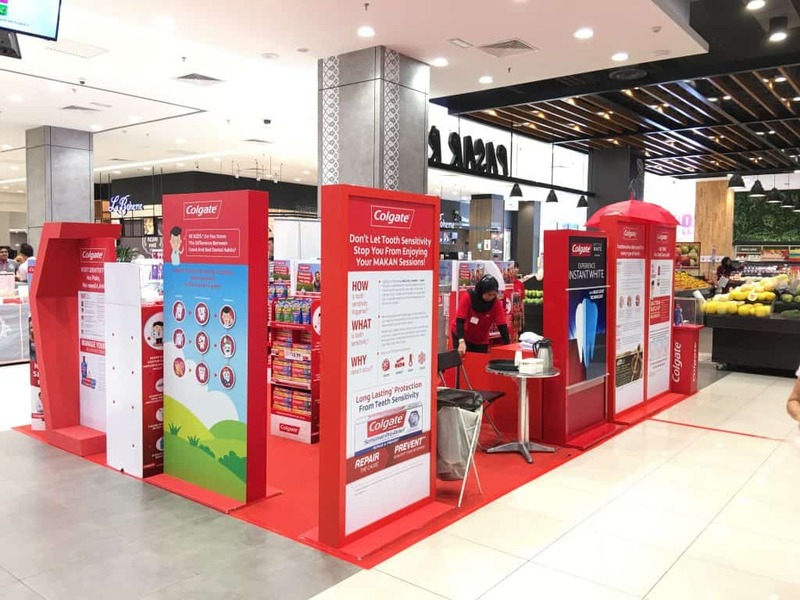 Not all booths are created alike – and that’s mostly connected to the fact that these days, roadshow events are so specific that each of them has one or two very specific objectives, set according to the target segment audience and the business goals. In very broad terms, roadshow booths are categorized according to their size, design, and function (e.g. some of them are meant to generate sales, while others are meant to generate engagement among potential and existing customers). This type of booth is generally meant to cater to a pretty huge audience (think thousands of visitors attending an industry-themed exhibition). Albeit not traditional roadshows, these events have slowly shifted to a more segmented mindset – and that is precisely why you might want to think of a more roadshow-like booth, rather than a conventional exhibition booth. This is where creative booth design ideas come into play (and why it’s important to create something that will genuinely stand out and differentiate both from competitors and from the traditional booth designs still practiced out there). 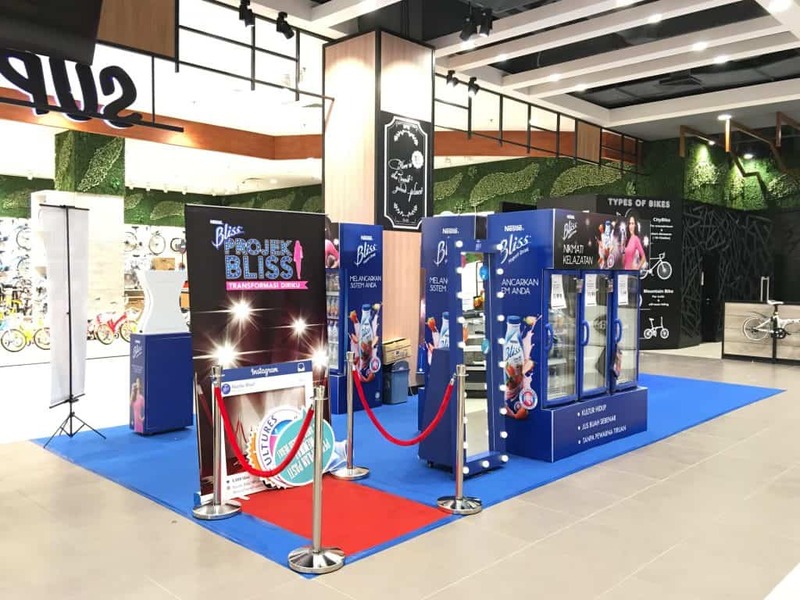 Exhibition booths are usually consisted of several sections, to host different activities – so they will generally have multiple objectives (focused on both brand awareness and lead generation). 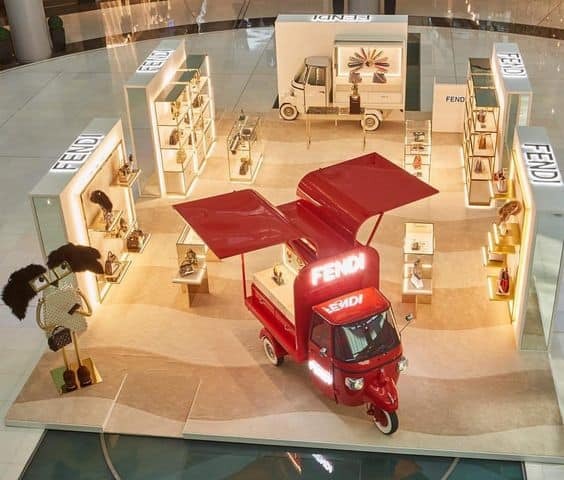 Keep in mind that, due to the large size of an exhibition booth, you have to think very carefully of your brand display. In this case, you need a huge brand display to call out your business and be visible and eye-catching from afar (obviously, more visible and attractive than that of your competitors). 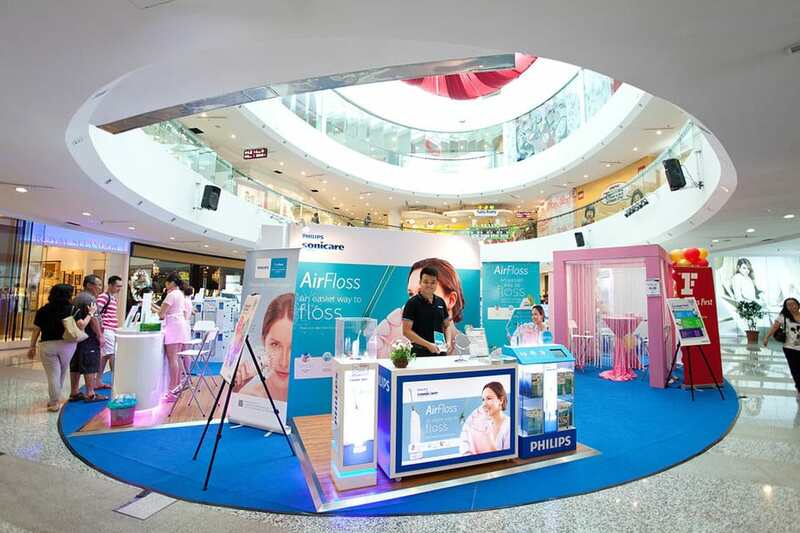 These booths are usually medium-sized – definitely smaller than an exhibition booth, but larger than, for example, a pop-up store. You will usually find these booths in malls, so they are often designed to meet the restrictions imposed by the shopping center (e.g. there may be height or safety-related restrictions). Payment counters that allow an instant purchase. 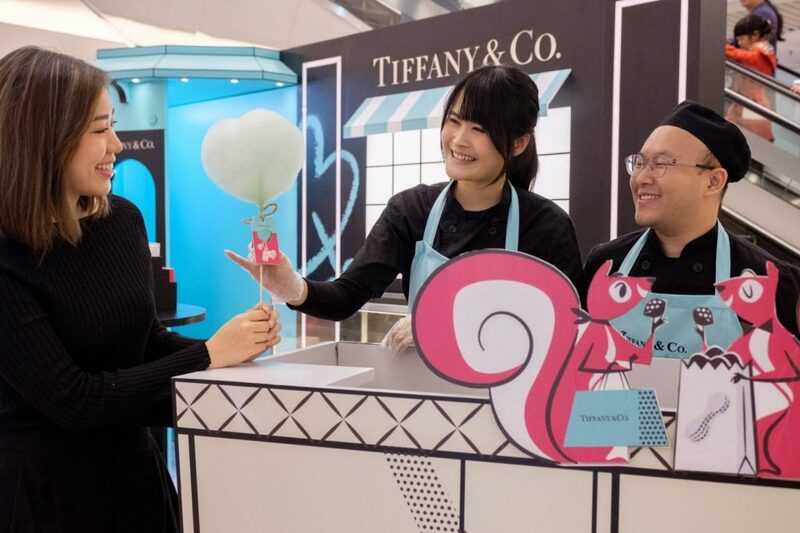 This type of booth is usually very small in size, and its main purpose is that of driving sales (more specifically, encouraging customers to make an instant purchase). A payment area that allows customers to make an instant purchase. There’s a world full of possibilities when it comes to event booth design and the shapes, colors, formats, and sizes it can take. This is a pretty broad term, but it generally refers to all the booth designs that cannot be included in any of the design typologies we will describe below. An innovative booth can be pretty much anything, it can be adapted to any size, and any objective. 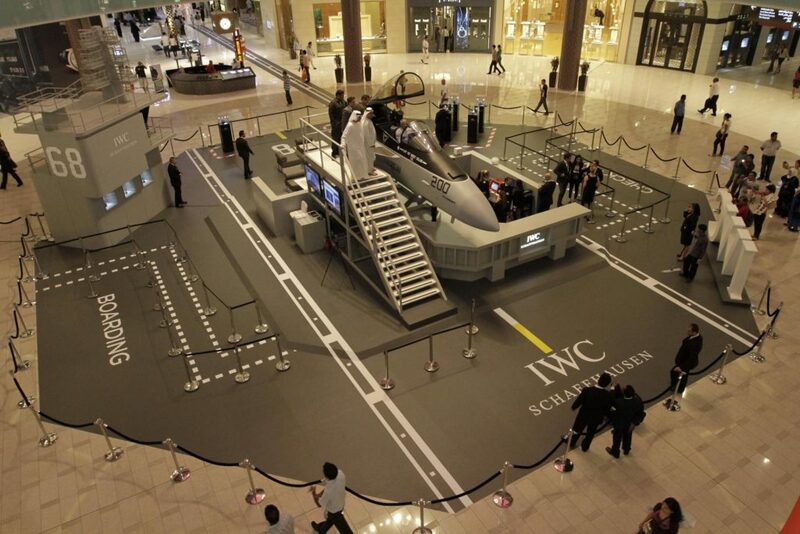 A very good example of a really innovative booth is that of IWC’s Top Gun exhibition at the Dubai Mall. A company that sells luxury watches, they designed a Top Gun-themed exhibition booth in the middle of the Dubai Mall – with a plane prop and staff dressed as flight attendants to make everything seem realistic. 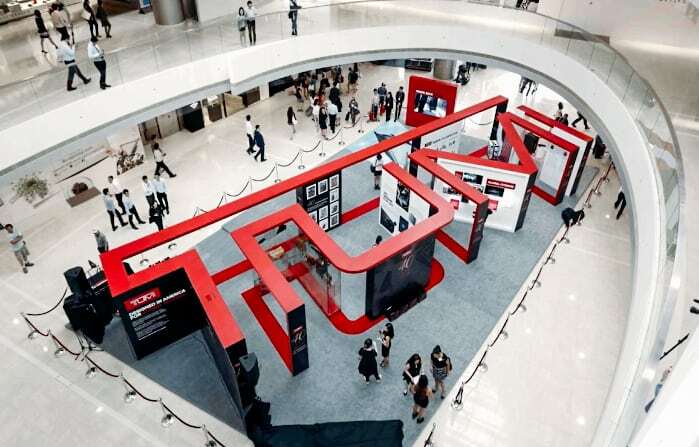 They may not be an airline company, yet, the theme they chose appealed to their target audience and attracted them to their booth, thus making it easier to meet the exhibition’s objective. As you can see in the video linked above, IWC’s booth actually moved beyond the borders of a mall booth, or even an exhibition booth, and brought forward a genuinely unique and eye-catching idea. We loved this! These booths are all about providing an excellent experience to visitors. Some of them are quite basic (including video gaming gear, or classic indoor games, such as ping-pong or snooker), while others go completely over the top and make the entire booth the center of attention. Take KIA Soul’s booth, for example. 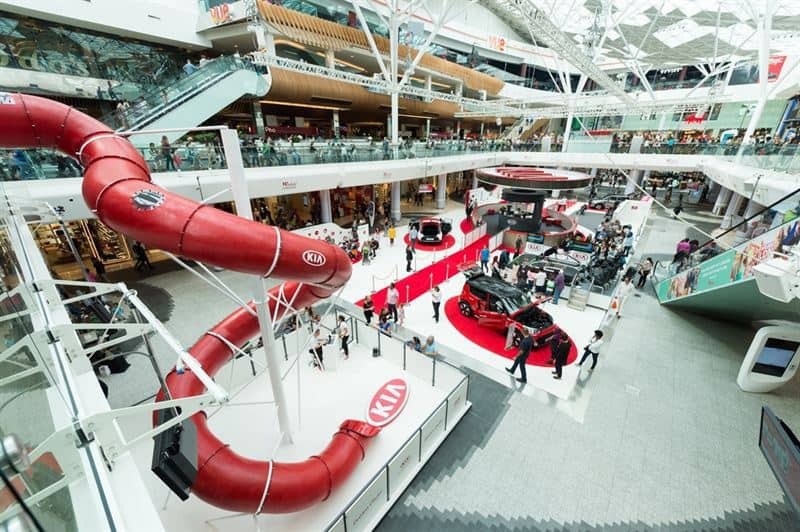 Based on the TV commercial created for the product, this booth included a 10 m fun slide that even captured pictures the riders as they landed right in front of the new KIA Soul car (and the photos were made available online, or via mobile devices). The entire experience was completely out-of-the box and it truly complemented the “Ready to Roll” vibe of the TV commercial. Aside from the huge snaking slide, the booth also included a Graffiti area (where visitors had the chance to design their own KIA soul), a makeover area for the ladies, a fitness XBOX area for sports aficionados, and even an area that allowed visitors to experience driving the new car. 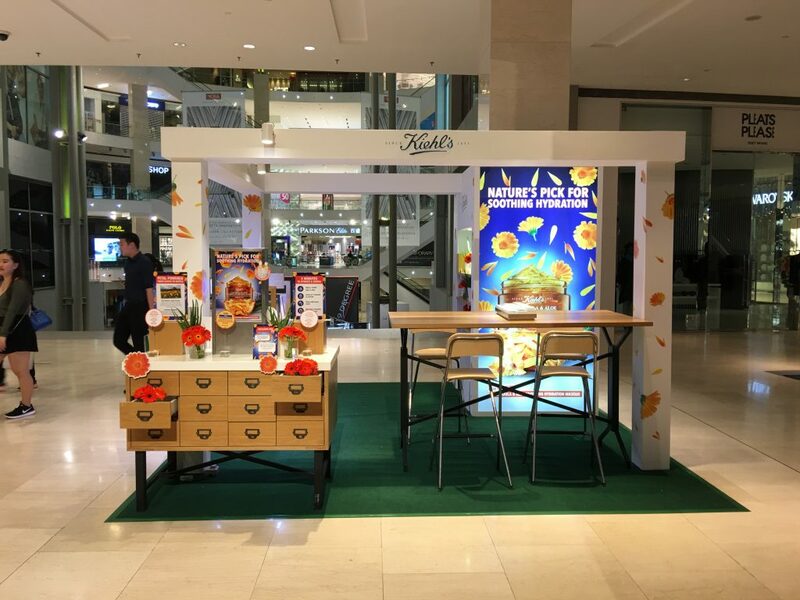 These booths are all about connecting to visitors and allowing them to work with the product in a fun and creative way. 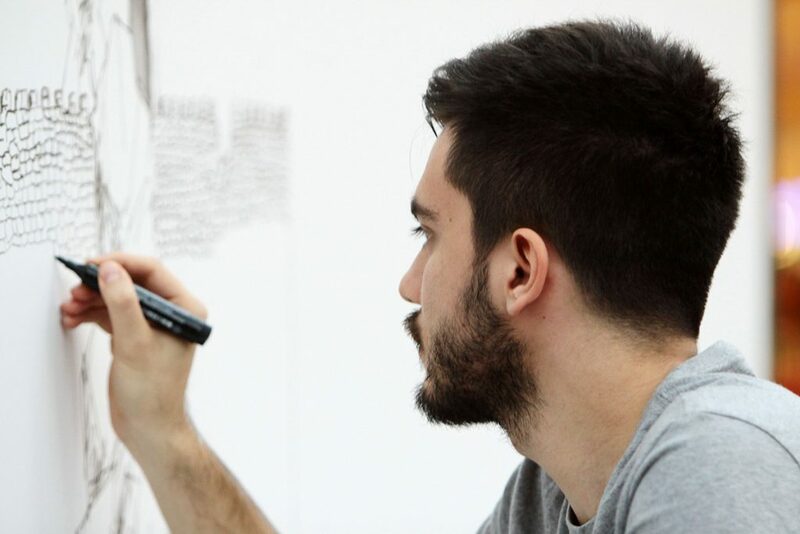 An excellent example here is Faber Castell’s one-line drawing challenge. 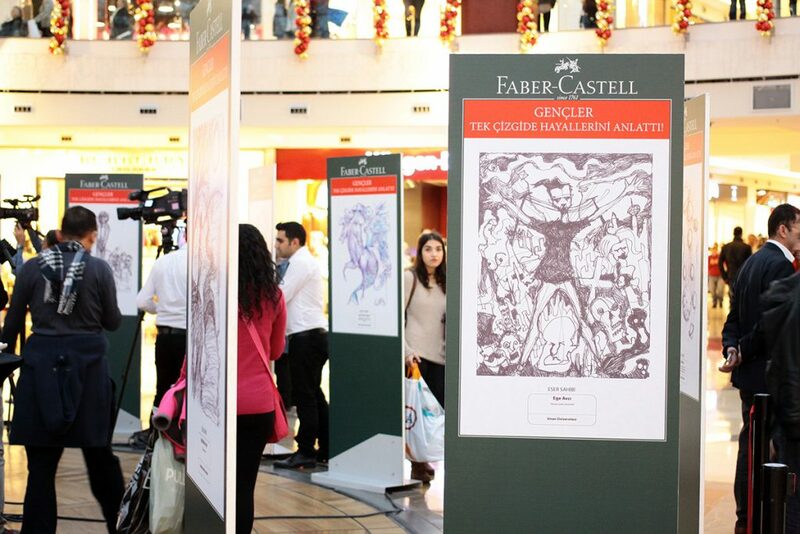 The company visited 20 universities in Turkey and asked students to create one-line themed drawings using the Faber Castell pencils. To be more specific, participants had to create a one-line drawing to answer the question “What is your dream”. The contest was streamed live on Facebook and a side-contest took place on Twitter as well, where users were asked to guess the one-line contest winner’s dream. The main prize was consisted of the chance to work in a Faber Castell factory, while Twitter users were also rewarded with company products as well. These booths are all about the brand – and their entire design is usually based on a distinctive feature of that brand (most often, the logo). 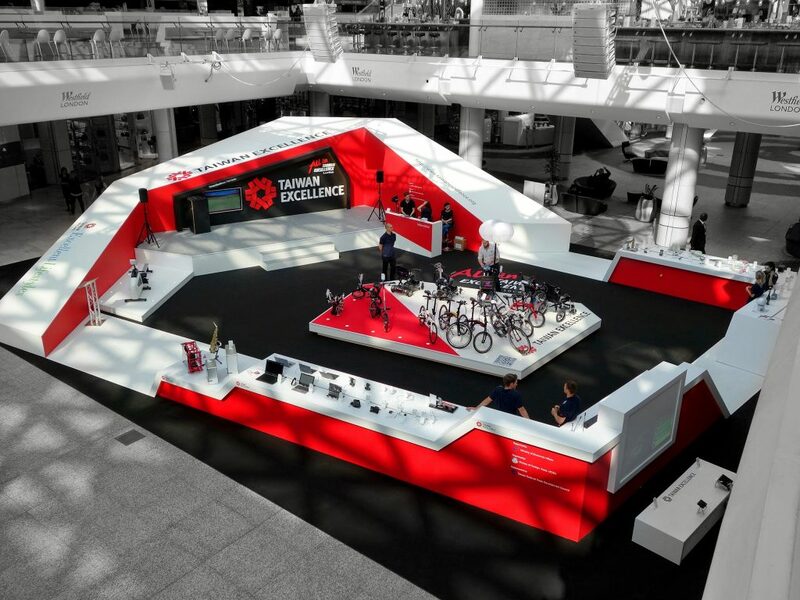 Below, you can see a very good example of a brand image-drive booth created for TUMI’s 40th anniversary. 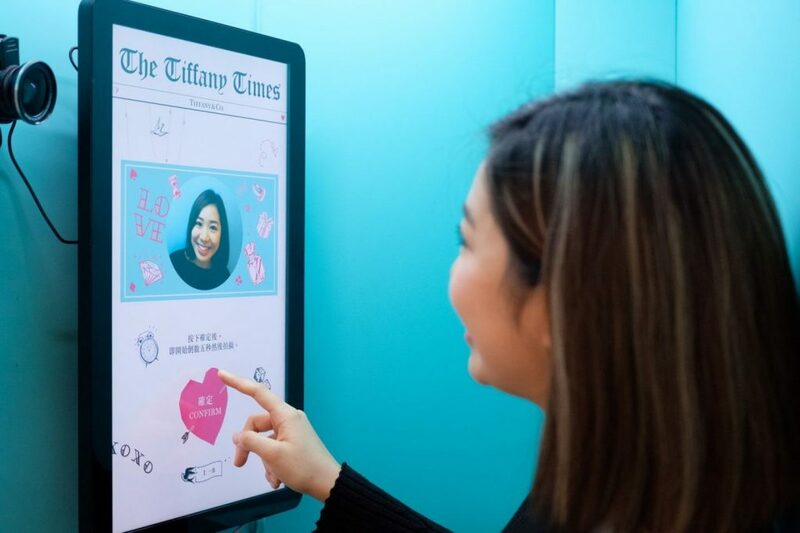 These booths are mostly based on enabling visitors to walk in, experience the product, and walk out of the booth as fully-converted customers. Everything about these booths is meant to highlight the qualities of the product(s) and fast-forward the visitors’ decisional process into buying it on the spot (rather than at a later date). Below, you can see an example of a sales-driven booth and how it was designed to promote sales. As for objective-based booths, they can fall into any of the categories above. There are promotional booths focused on interaction, same as there are exhibition booths focused on fun (and the examples above prove that there’s no clear delimitation between two or more categories of booths – and that creativity is, at the end of the day, the most important aspect in bringing to life booths that are genuinely attractive). How to Plan an Event Booth? Planning the design of an event booth should always be very detail-oriented, no matter how large or small the event may be, and no matter what is the main purpose of the booth may be. From custom exhibit booths to unique pop-up store booths, attention to detail is crucial in making sure everything’s a success. We have gathered some tips to help you create the event booths your business deserves – so read on if you want to learn more about the 5 basic steps you need to follow when planning the perfect booth. 1. Establish the “technicalities” of the booth. You wouldn’t start planning a party without knowing who’s invited, what your budget is, and how large the party will actually be – so why would planning a booth be any different? Before you delve into the myriad of booth design ideas out there, do make sure that you clearly establish the basic elements upon which your booth will be created – the booth’s foundation, if you want to call it like that. The four essential elements to include at this stage are size, budget, audience, and, of course, objective. Being very clear about these four verticals will narrow down the (almost endless) list of possibilities and help you start the entire planning process on the right foot. Your booth absolutely needs to be at the right place, at the right time. Otherwise, you might end up investing a lot of time and financial resources into something that might not yield the results you’re looking for. Selecting the right location for your booth depends on a variety of factors, such as, for example, whether or not the booth will be stand-alone or if it will be part of a larger industry trade show of any kind. Daily foot count (i.e. you need to place your booth in an area that is very frequently visited by people). For instance, placing a booth at the outskirts of a smaller town might just not attract enough visitors/ leads/ customers to be worth it. Audience type (i.e. you need to place your booth in an area that is visited by the right people – namely, your audience. For example, you wouldn’t place a tractor manufacturer’s booth in front of a spa that’s mostly visited by women who are most likely not working in the agricultural industry). This is the first step towards the actual design of the booth. At this point, you don’t have to be too detailed – but you need to draw the “sketch” of what you want your booth to focus on. One of the first crucial design-related elements to consider is the key feature that will make your booth design stand out from the crowd. In general, booths can be size-oriented (big booths that instantly catch the attention of anyone walking into a designated area, such as the booth in the KIA Soul example) or they can be originality-oriented (booths that are completely out of the norm for the given location – such as a booth made out of hay placed in the middle of an ultra-modern mall). Sometimes, booths can fall into both afore mentioned categories – such as in the case of IWC’s Top Gun exhibition (which was considerable in size, but also quite unique given the company’s main product line and the location of the booth). As we were mentioning in a previous blog post focusing on roadshow activities that attract crowds, there’s a myriad of options when it comes to the things you invite your visitors to do once they reach your booth. 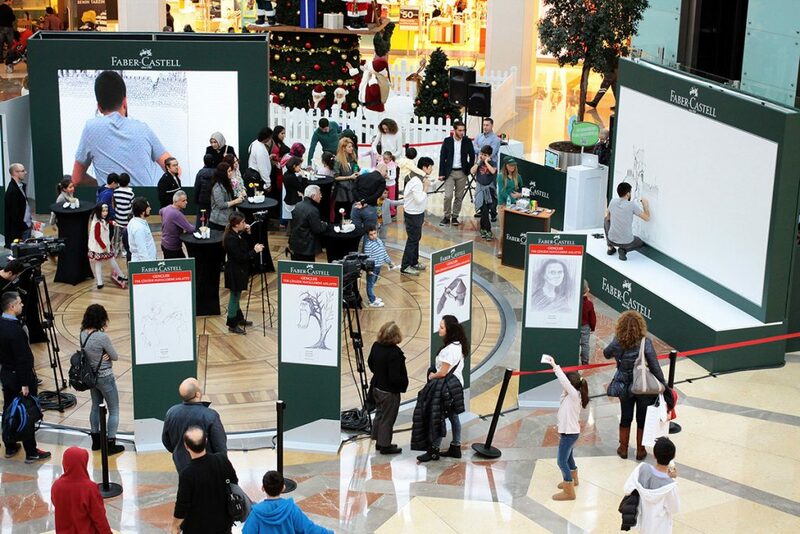 Interactive displays (such as a real-life model on display, presenting the latest fashion items in your store). Of course, these are just some of the types of activities you can incorporate in an event booth – there are many others (and if you want to learn more about this, you should definitely read the article linked above). Keep in mind: while there are a lot of activities that work excellently with pretty much any kind of brand and any kind of event booth, it is still extremely important to somehow link these activities to your specific business. For instance, you could offer free makeovers to ladies visiting a car manufacturer’s booth – but this has to be tied in to the car’s redesign (even if just through a tagline that reminds visitors of the new car’s tagline). It doesn’t even matter how large or small your marketing team may be – truth be told, planning a really amazing booth does take a lot of time and resources. Given that you most likely have other tasks as well, hiring the right event planner to help you with your booth design becomes absolutely crucial. After all, you’re doing this because you want to see results – be it a large number of generated leads or a large number of sales. And hiring a specialized event planner will actually help you pull off the entire event in a smooth, flawless, and stress-free way. Here at Rush Max Event, we can definitely help you with our customized roadshow booth and roadshow management services. We have an entire team dedicated to making sure each and every client we have meets their goals in terms of event marketing – so you can absolutely rely on us to deliver top-notch services regardless of what industry your business may be in. Our main goal is to make sure your events are successful from every point of view – so we will go above and beyond to put together all of your event booth’s details, from A to Z. From booth design to actually setting it up and the manpower you need to run a successful event booth (professional sales persons, models, event crew, etc. ), we have it all – and more importantly, we meet the highest standards of quality in the event planning industry, in everything we do. Contact us today and learn everything you need to know about our services and how we plan on making your plans come true! Don't miss any of our future post!